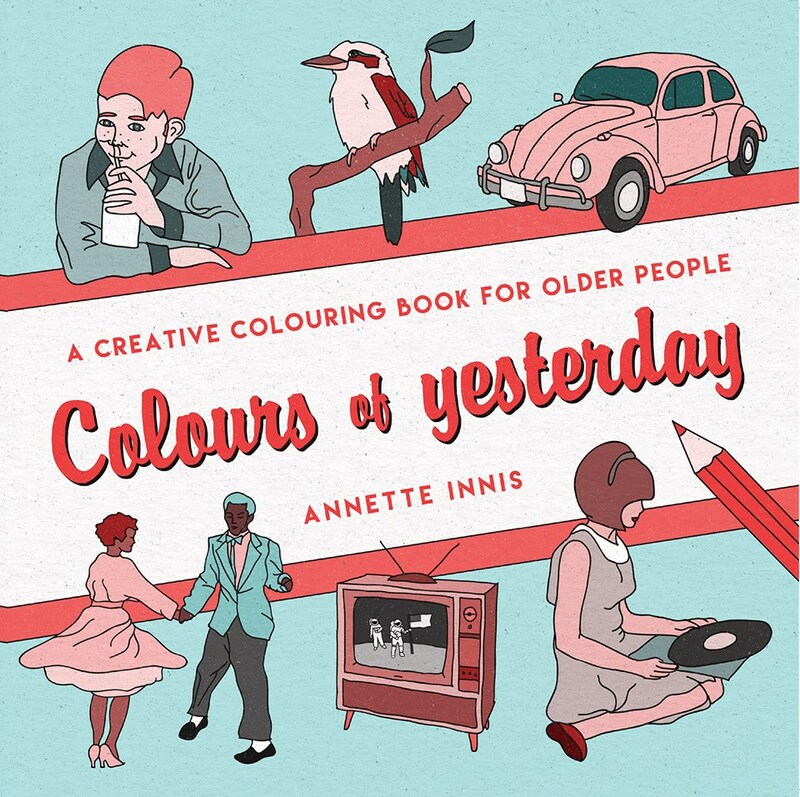 Colours of yesterday by Annette Innis is a new adult colouring book specifically designed for older people. The beautifully created book features drawings that are more accessible for older hands and eyes, with themes lovingly depicting the way things were. Annette Innis is an inspiring young Australian artist who has used her skills as a portrait artist and her experience teaching participatory art classes for older people and refugees (Arts on Prescription) to create Colours of yesterday. “This book is strongly influenced by my lifelong love of hearing stories set in the ‘good old days’,” Annette said. Immerse yourself in nostalgia in this creative colouring book specifically designed for older people, but suitable for any age. With real-life stories and original drawings suited for older hands and eyes, Colours of yesterday is ideal for personal or group use, connecting as a carer, or for grandparents and grandkids. Bring the beautiful drawings to life as you colour, explore your creativity and take a trip down memory lane! Alongside Annette’s 30 original drawings are real-life stories, which further bring to life the warm familiarity of the past while opening a door of connection and learning for younger family and friends. Drawing on expertise from the Centre of Positive Ageing in western Sydney and experience from the ground-breaking Arts on Prescription program, Colours of yesterday is an important new resource and possibly an Australian-first. Professor Chris Poulos, Director of the Centre for Positive Ageing, said, “There’s growing evidence that shows how involvement in the creative arts can lead to an improved sense of wellbeing in those who participate.